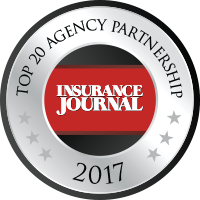 Top O' Michigan Insurance is dedicated to serving our clients, our TOMIA team and family, our communities, our partner companies, and the future of the insurance industry. The landscape within the insurance industry has drastically changed over the last few years. We have watched prominent agencies sold to large conglomerates which does away with the values most businesses are built on. As a third generation agency, this was not the route we would ever consider. The Keystone partnership provides the resources typically linked with large insurance brokerages. It provides us the platform to continue enhancing our clients’ experience and strengthen our position with our employees and communities -- without giving up our independence. We look forward to this exciting step for TOMIA to continue providing our clients with the local service and insurance solution at a competitive price. If you'd like to learn more about this partnership, do not hesitate to contact us directly at 800-686-8664 or Email Us if you have any unanswered questions or concerns.